Seeking Guidance from God and in partnership with various faith congregations, TMM’s mission is to: •	Serve at risk children, families and seniors. •	Develop appropriate services utilizing volunteers and professionals. •	Act as a catalyst for positive change. •	Engage congregations to expand community outreach. •	Develop new and ongoing resources for quality ministry. 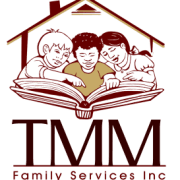 TMM Family Services, Inc. is a nonprofit, social service agency supported primarily by donations from the community, churches, government grants from foundations, state and local contracts, and various sources of earned income and client fees. Income derived from our services goes directly back into the services we provide. TMM has contracts with federal, state and local governments to provide housing for low income families, veterans and elderly. Also to conduct rehabilitation to homes of elderly and disabled people. We accept donations that are placed at our ReStore with the proceeds going directly back into services. T M M FAMILY SERVICES INC accepts donations. Donate Now. Would you recommend T M M FAMILY SERVICES INC?